A study by PR Newswire found that press releases that include multimedia content drive nearly 10 times more visibility than text. Greenough recently had the opportunity to put these findings to the test. A couple of months ago we put out a multimedia press release for one of our tech clients that exceeded our and our client’s expectations tenfold. The release consisted of several multimedia assets, including a two-minute video and five photos. We researched and weighed the pros and cons of a multimedia press release, ultimately deciding on this option, and the results made our jaws drop. In one week the press release was viewed 1,618 times and posted by 330 different media outlets. To date, the video has been viewed a whopping 61,275 times and the five images have received a total of 22,113 views and downloads. Multimedia content is more broadly distributed. According to PR Newswire, each element of a multimedia release is distributed separately, and can attract its own audience. Adding just one photo to a text release can increase visibility by 1.8 times. Adding a video can increase visibility by 4.3 times and adding a photo and video can increase visibility by 7.4 times. Multimedia content is shared far more on social networks. 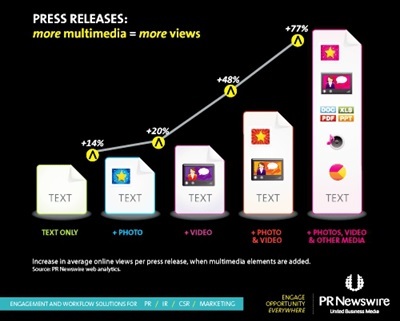 Across a one-month sample of content on PRNewswire.com, multimedia releases were shared 3.53 times more often than text-only releases. Multimedia content holds an audience’s attention for more than twice as long as text. On average, text press releases generate visibility for 9.4 days. Multimedia press releases generate visibility an average of 20 days. The findings support the fact that we live in a visual world, so being able to communicate through images is essential. We’ve learned a valuable lesson from both PR Newswire’s research, and the success of our client’s release: when your client has multimedia components available for a press release, encourage them to use them. Yes, they will cost a bit extra, but the bang for the buck through increased exposure will be well-worth the price. Contributed by Account Supervisor Rachel Vaccari. Follow her on Twitter: @Rachel_Vaccari. These days producers, editors and reporters are under constant deadlines. The pressure is on to fill digital and cable news sites with fresh content 24/7 and reporters are often asked to file three or more stories a day. So how do journalists continually feed the beast? By sharing content. The latest RTDNA/Hofstra University study finds that nearly 76 percent of stations are involved with other media in newsgathering and sharing agreements. Almost a third of news directors (31.2 percent) said they ran news on another local station, and the study finds that content ran on an average of 1.4 stations. The majority of stations also have cooperative agreements with outlets in other mediums including local newspapers, radio stations and websites. Whether it’s a pitch for an article, video, slideshow or story idea, good media relations professionals know how to take advantage of these sharing agreements and identify key “feeder” media. Take Bankrate.com for example, a feeder site for Fox Business, Yahoo! Finance and MSN. The online outlet already has an impressive 63,695,333 page views per month, but combine that with the views top tier outlets like Fox are bringing in and you’ve just increased the exposure exponentially with one strategic pitch. Here at Greenough, we’ve been able to implement this approach for several clients. This spring, we secured an article on seasonal allergies in the print and online editions of Health Magazine for Thermo Fisher Scientific. A good hit in its own right, but then the story got picked up by ABCNews.com and FoxNews.com. For GT Advanced Technologies, we secured an article in MIT Review that went viral – netting more than 60 article pick-ups including Yahoo! Finance, Fox News, CNN and Business Insider. We also saw 30 local news articles and 18 trade hits. As with any good story pitch, it’s all about the research. Study your target outlets, identify their key “feeder” sites and understand who has a content sharing agreement with whom. The time and effort spent upfront will certainly help you maximize exposure and secure your next top tier hit. Contributed by Account Supervisor Christine Williamson. Follow her on Twitter: @ChristineDBW. Last month, our team at Greenough celebrated our fourth anniversary of publicizing Arbella Insurance's distracted driving program, Distractology 101. Distractology brings a neon-yellow mobile classroom outfitted with high-tech driving simulators to high schools across New England. The simulations give new drivers the chance to experience the perils of distracted driving from the safety of the trailer, training them to avoid these behaviors when they're in their cars. Though the larger Massachusetts and Rhode Island outlets only run a story on Distractology once every year or so, honing in on smaller town and regional newspapers and local broadcast affiliates has kept our success rate at between 7 and 20 pieces of coverage each month— 4 years running! More important than the number of hits alone, hyper-local news audiences continue to remain high despite uncertainty in the newspaper industry overall. In a recent study, the University of Missouri's Reynolds Journalism Institute found that more than two-thirds of residents in small U.S. communities read their local newspaper at least once a week. Hyper local newspapers and local TV are often passed over in media campaigns since they don’t quite carry the same weight. 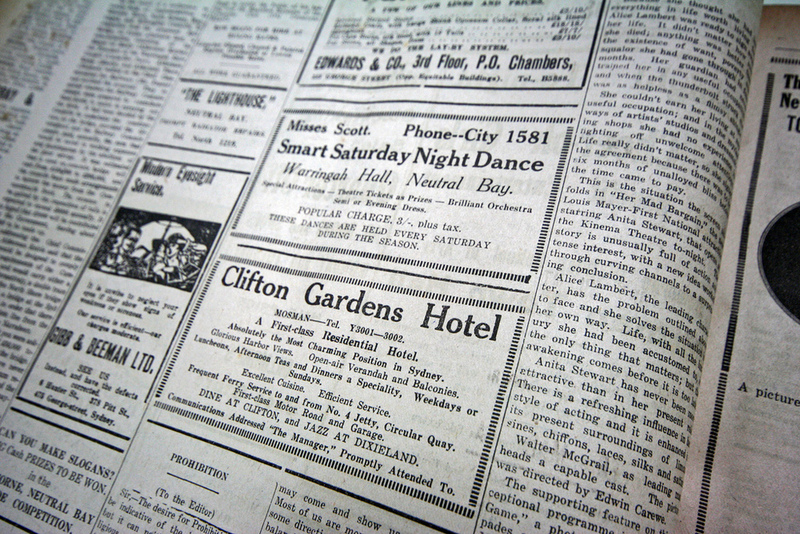 But for long-running PR initiatives, especially for a program that serves the community in the way Distractology does, hyper-local news outlets can be excellent venues for maintaining media momentum and creating positive sentiment in the small towns where a regional company aims to sell its services. Secondarily, we’ve heard from a number of our television production contacts that hyper-local outlets, like the Patch sites, are where they turn to find news stories. It’s a great resource for finding the under-the-radar stories that TV stations are hungry to break. It can also lead them to local sources for commentary. And on the technical side, the more hyper-local coverage online that links back to your client’s website, the more “Google food” you’re providing. When reputable sites, like those of newspapers, link to your website, your SEO gets a boost. So the next time you’re building out a media list, don’t discredit your town’s paper or community TV station. They will often help you reach your local community better than the glamorous national hit will. The Northeast has become a hotbed for environmentally-conscious companies that also have strong business models. Call them what you will – clean tech, sustainable, green – just don’t call them treehuggers or do-gooders. These are businesses that make real money; they just happen to offer a product or service that will help lead the way to the future of U.S. energy independence and environmental sustainability. This Friday, April 5, many of New England’s most prominent energy leaders will gather at Babson College for the school’s annual Energy + Environmental Conference. Greenough has sponsored this event for years, and we’ve heard insightful thinking by everyone from Rhumb Line Energy Founder and former Massachusetts Secretary of Energy and Environment Ian Bowles to representatives from ExxonMobil. This year’s slate of speakers and panelists looks as impressive as always. For instance, Claire Broido Johnson, co-founder of SunEdison, will deliver one of four keynote addresses. SunEdison is, of course, North America’s largest solar energy services provider, a company that has developed more than 883 MW of solar energy capacity. Considering that the U.S. only has about 7,700 MW of total capacity, it’s fair to say that SunEdison has had a huge impact. Claire also heads up Boston-based Next Step Living, a residential energy efficiency provider. We’re also excited to hear from David Schatz of WiTriCity, who will be sitting in on a panel about energy transition in the auto industry. WiTriCity is a pioneer in the new field of wireless electricity. Using magnetic fields, the company’s technology enables wireless charging of any electronic device, from a light bulb to a laptop, so it will be fascinating to hear David speak. Another local company to watch is Cambridge-based Zipcar. The company has already revolutionized car rentals once through its unique approach, now it’s revolutionizing the industry again with the introduction of plug-in vehicles and other green cars. Director of Business Development Gretchen Effgen will join the same panel as WiTriCity’s David Schatz to discuss the future of the auto industry. Those are a few of our favorites, but we look forward to hearing from many other energy leaders from around the region and across the country at Babson this Friday. See you there! Some clients prefer the boardroom, others the executive suite. When we think of our clean technology client Harvest Power, however, we tend to think more “outside the cube” and lean towards the great outdoors. Considering that Harvest’s corporate headquarters is smack-dab on the banks of the Charles River – in a picturesque restored watch factory in historic Waltham, MA – hitting the outdoors pretty much means getting on the river. And that’s just what we did. Last week, during our regularly scheduled meeting time – which we often conduct by Skype – the Greenough team headed out to Waltham and met our client in person. We dropped our trusty team canoe in the water, and proceeded to hold our meeting between hearty paddling, quiet bird-watching, and frolic-and-detour discussions about “bucket list” items we each wanted to do. 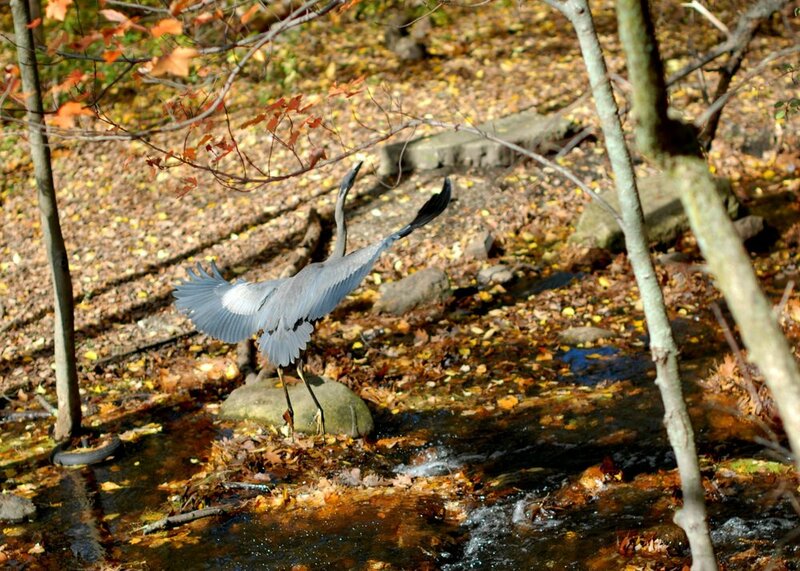 We eventually addressed each item on our standard agenda, but we also saw leaves changing color, a great blue heron wading, and turtles lolling on protruding logs. Not a bad way to conduct business. Harvest is well on its way to achieving its goal of powering local communities through a robust system of organics recycling, energy generation and soil revitalization. 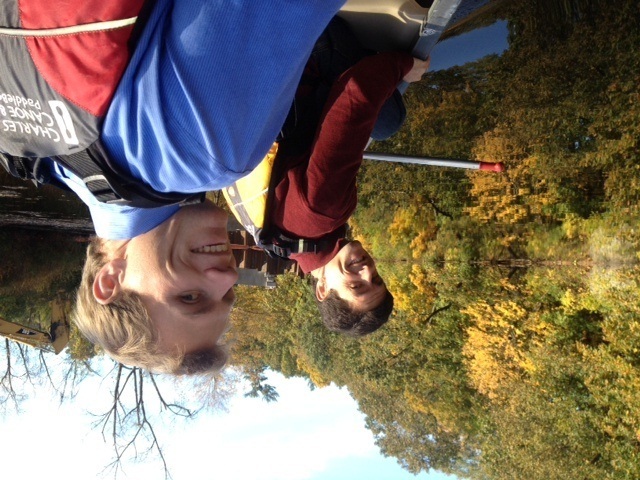 The concept for this change – the “Power-of-We” – was very much present as we powered our canoe along the meandering Charles on a beautiful fall day. Thank you, Harvest Power, for a great afternoon! Jay Staunton is vice president, account services at Greenough.